Lithuania is situated next to a complicated neighbourhood. Russia has been and will remain, for many years to come, the biggest threat to the geopolitical security of Lithuania. Lithuania needs to have a long-term strategy for relations with Russia without having any illusion that in the near future Russia, under Putin's rule, may become a non-aggressive democratic state which abides by the European standards. This must be a very clear strategy, because efforts to pursue contacts or better relations between Putin's Russia and Lithuania are hopeless and even harmful. Lithuanian strategy for relations with Russia must, first and foremost, be geared towards efforts to influence a Western strategy on relations with Russia that would assist a post-Putin Russia in transforming into a non-aggressive democratic country that follows European standards. Russia's becoming a European country is an inevitable historical process; however, it is one that will take a very long time. This also represents Lithuania's principal interest in geopolitical security. Furthermore, the process has to be a general objective of the Russian people and the whole Western world, including Lithuania, as this is the only way to guarantee peace and good relations between neighbours across the European continent. These days, when we talk about Putin and Russia, the only positive message is that the West has started to gradually open their eyes. Following the nuclear threats made by Putin; the use of the chemical weapon novichok in Britain; the chemical attack in Syria authorised by Bashar al-Assad, a friend of Putin; the ongoing flow of toxic lies and hybrid attacks against the largest Western countries; and the recent mockery made of the so-called democratic elections in Russia itself, the West have finally come to see what Lithuania observed well over a decade ago when looking at Putin's Russia. And here is the crucial question: if neither we nor the West have no longer any illusion about Putin and the development path of Putin's Russia for the next decade, what strategy towards Russia needs to be followed by Lithuania and everybody else. Our country on its own is unable to exert influence over Russia, but what we can do is influence Western policies towards Russia, provided that we know what kind of Western policy we want and seek. Until now, our vision of such a policy has been limited to continued Western sanctions and voicing of Lithuania's understandable defence need for NATO's enhanced capabilities in our region in order to deter Russia. After all, that was all that we asked the West when our discussions were focused on the aggressive Russia under Putin's rule. Now we are beginning to understand that the two instruments alone are no longer sufficient. The deterrence strategy has to be complimented by a long-term Western strategy towards Russia, which would lead to a prospect of a pro-European Russia. We now have an opportunity and a responsibility to assist the West with designing and implementing a strategy of the kind. Until now, the EU has unsuccessfully tried to work inside Russia with the Russian government or opposition or other participants in the Russian political system to support Russia's transformation. It is quite obvious that these European efforts will not help Russia in the future, too. So far, the Western policies with regard to Russia have not followed a clear and long-term strategy. Partnership for modernisation, various reset policies, support for the opposition and calls for democratic elections, efforts to maintain a dialogue in exchange for alleged common interests in Syria, North Korea or Iran –– everything has been tested in the relations with Russia, but none of this has led to Russia becoming more democratic or pro-European. On the contrary, the position 'let's not provoke Russia', which has dominated the West for many years now, and a lenient approach towards Russia's aggressive behaviour with regard to its neighbours, such as events in Georgia in 2008, as well as its actions on a domestic scene, such as smashing the internal opposition in 2012, was what only encouraged Putin's regime to become more aggressive both internally and externally. It is time for the West to realise that a momentary, single-day or responsive policy towards the Kremlin's actions is no longer sufficient. The West needs a policy on Russia that is long-term, pro-active and based on a clear and overarching philosophy. The West had a similar approach during the Cold War when they pursued a long-term strategy of containing Russia. George Kennan, the famous US diplomat and analyst, gave a start to the strategy with his philosophical doctrine on Russia's containment explained in the Long Telegram in 1946. The doctrine was based on a deep analysis of Russia's domestic processes and the prevailing mentality of its society. This doctrine gave birth to the famous Truman Doctrine that shaped Western behaviour during the Cold War. The latter doctrine had consistently led to the 1947 Marshall Plan for Western Europe, which influenced the establishment of the European Union and NATO. That was how the West not only withstood the Stalinist and later Soviet plans to extend their influence over the whole of Western Europe and the rest of the world, but also managed to overcome one of its lasting tectonic conflicts on the European continent, which was the main cause of World War I and World War II. The conflict relates to the disagreement of the early 20th century between Germany and France over dominance across the European continent and the inability to share power-wielding industrial resources of steel and coal in the Ruhr Region. This long-lasting tectonic conflict ended only when the Americans proposed the Marshall Plan for both parties and the whole of Western Europe, thus calling for a merger of the coal and steel industries thereby kick-starting the process of uniting all Western economies. This long-term strategic step guaranteed not only an end to the conflicts over the riches of the Ruhr Region, but also brought about a sustainable peace in Western Europe. However, Europe and the West continue to struggle with the second tectonic conflict on the European continent. In the 20th century, this conflict contributed to bloodshed across vast European regions. As a result, a large share of the European continent has not yet been able to benefit from democracy, freedom and prosperity. This has been the tectonic conflict involving Russia and mainland Europe. In the period from the end of the war in 1945 until the beginning of 1990, the cause of the conflict was the Stalinist and expansionist policy of the Russian empire. After 1990, the causes of the conflict were the post-imperialistic sentiments that Russia found itself engulfed in. This gave rise to Putin's kleptocratic, autocratic and increasingly more aggressive regime. Even though Russia is the cause of this tectonic conflict, it is up to the West to propose a long-term strategy to resolve it. The strategy must be of the same scale and of the same systematic nature as the Truman Doctrine, the Marshall Plan or the containment strategy towards the Soviet Russia were, given that the problem of Russia has been and will continue to be as big in the early 21st century as it was in the late 20th century. The changing nature of the problem requires new instruments to address it. However, the price of failure may be as high as it was during the Cold War. Unfortunately, the West has not yet developed a long-term strategy of the kind to settle the conflict. Lithuania is the one who is interested the most in making sure that the West has such a strategy and implements it systematically, for Lithuania's geopolitical security depends on whether or not Russia becomes, in the long run, a pro-European, democratic and peaceful country. We cannot just sit back and wait until someday the West comes up with a strategy (if any) vis-à-vis Russia. We should be more active ourselves in seeking it. We should go beyond mere requests to enhance NATO's battalions deployed here and should not limit ourselves to only defending the continuity of sanctions or traditionally speaking up for the Eastern Partnership and against the Nord Stream project. We need an ambitious and comprehensive Western strategy towards Russia and it is up to us to propose it instead of wasting our time for discussions on ways to improve our relations or contacts with Russia. We are the ones who are the most interested in having good relations with Russia. However, we need changes in Russia rather than new contacts with it to enjoy those relations. The West could assist in bringing about the change. This, however, requires a long-term Western strategy towards Russia and we must become instrumental in helping the strategy see the daylight. In order to have a strategy to offer to the West, we must, first and foremost, agree among ourselves on what kind of Western strategy we want. The US Administration's National Security Strategy , published in 2018, identified Russia (and China) as a major threat to the US geopolitical security. This, however, does not prevent US President Donald Trump from declaring, from time to time, that he wants a dialogue with Putin while, at the same time, the US Administration is implementing a clear policy of containment vis-à-vis Russia. If the current Russia under Putin is considered to be a threat to the geopolitical security of the US, then it should be treated as an even bigger threat to the European Union. However, the European Union has not thus far determined Russia as a key threat to the EU's geopolitical security in any of its official documents on foreign and security policy . Until this has been done, the EU institutions are treating Russia as a potential partner rather than a threat. Lithuania has to make sure that the European Union follows the example set by the US and clearly identifies Russia as a threat to the geopolitical security of the European Union. Similarly, such references have to be included in NATO's documents as well. As long as Russia is ruled by Putin's post-imperial and kleptocratic regime, its aggression has to be offset by continued Western sanctions against Putin's regime and its supporters as well as by efficient military deterrence measures. Putin's regime may continue to exist for a long time. Putin himself may seek to remain in power until his physical health allows him to do so. Soviet times have shown that this situation can remain for yet another couple of decades. It is vain to hope that any current constitutional limitations may stop Putin from possible attempts at asserting his authority for life. In his most recent book The Road to Unfreadom , the famous Timothy Snyder provides a convincing analysis of and perspective on the fascist nature and structure of Putin's regime. Such regimes do not end per se. Likewise, it is hardly expected that the successors of this type of a regime will be capable of easily saying goodbye to their autocratic and fascist nature . According to Snyder , Putin builds the philosophy of his regime on the works of the Russian philosopher, Ivan Ilyin, who migrated to the West after 1917 and promoted fascist ideas glorifying Mussolini and Hitler. Ilyin also described the ideal fascist regime intended for Russia that had just shaken off the legacy of Bolshevism. Now, Ilyin is glorified and cited by Putin as well as by the architect of his ideology, Vladislav Surkov. Ilyin's concept of politics was pretty simple: the essence of politics is to choose the enemy and fight against it. The fascist regime needs regular elections only for the people to have a regular opportunity to express their loyalty to the Leader. These are exactly the features that characterise Putin's regime today. Western politicians should conclusively reject an illusion, that aggressiveness of the Putin's regime can be tamed by proposing some attractive offer, for example, containing a deep and comprehensive trade agreement. 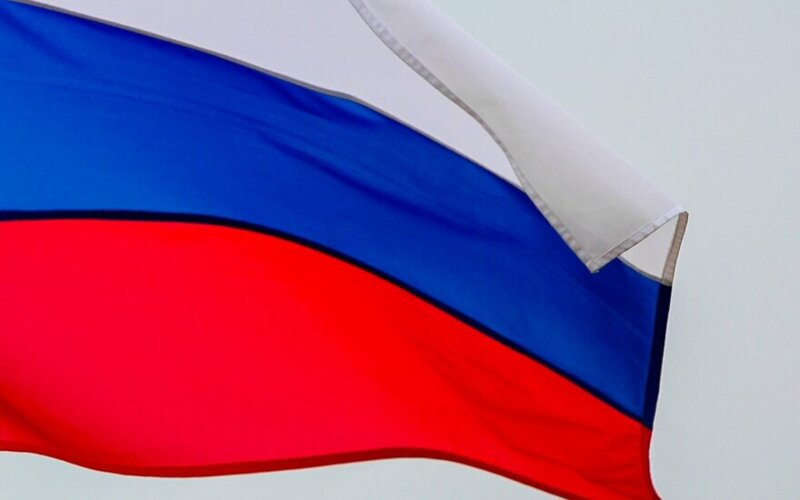 Aggressive policies of the Kremlin can be contained only when Putin believes that the Western world is ready and capable to defend its interests and starts to "respect adversary" - therefore, a strong response of the West to hybrid threats posed by Russia, as well as effective sanctions targeting regime's corrupt connections and financial resources are necessary. There is a strong likelihood that Putin's regime will be getting even more aggressive over the next decade. It cannot be ruled out that, in the long term, the Kremlin may be tempted to go for any military provocation in the Baltic region to check the will of NATO and, concurrently, the US to defend themselves. Lithuania also needs to keep the momentum in strengthening and modernising its military capabilities. Lithuania needs to ensure that the EU and NATO develop new defence capabilities and implement new actions for strengthening self-defence in order to counter not only hard military threats but also less exposed and softer hybrid threats posed by Russia. Lithuania must spare no effort to make the EU and NATO build and strengthen joint anti-hybrid defence capabilities  in order to help national states to defend themselves against a wide range of the Kremlin's hybrid threats, including cyber and propaganda attacks; spread of fake-news; infusion of the Kremlin's dirty offshore money into our political systems; and influence through the national businesses having major economic interests in Russia and, all of a sudden, turning active and very successful in our national politics. Our experience shows  that our country or any other Western country on its own may find it difficult to deal with such threats. Therefore, a high premium should be placed on the development of NATO's joint anti-hybrid capabilities by utilising the existing intelligence capabilities held by the US and the UK as well as their institutional capacity to detect offshore money and attempts to inject it in national political systems. Lithuania must also have an effective anti-hybrid strategy and institutional capacity for its practical implementation. Lithuania must encourage the Western states to review the standards of the freedom of speech and the freedom of information to prevent the Kremlin from abusing them in order to spread disinformation, fake news, and propaganda. The propaganda instruments, like Russia Today and Sputnik, cannot be considered as the media, and they must be subject to clear and unambiguous restrictive regulations. 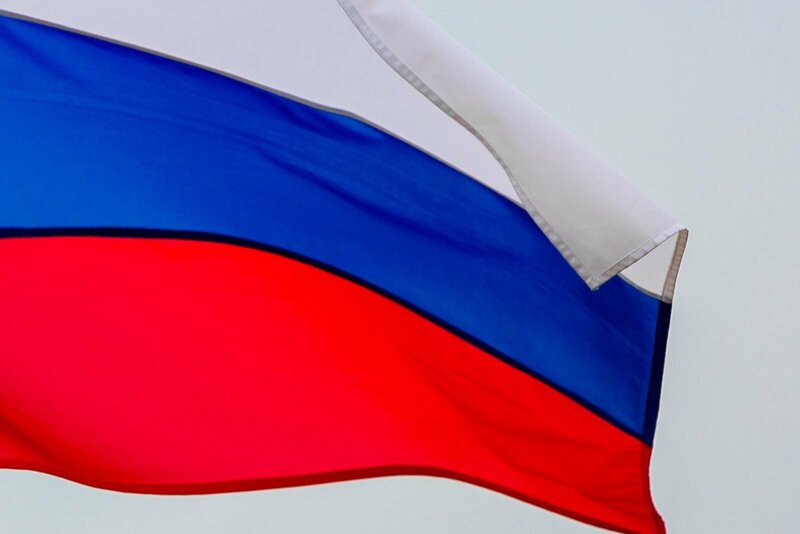 Lithuania must urge the EU and NATO to take joint actions to prevent the investment of offshore money owned by the Kremlin or by the Russian oligarchs close to the Kremlin in the Western economies and political systems, including Lithuania's economy and political system. This requires new EU-wide transparency and anti-corruption standards and effective common instruments for the implementation of the former, as shown in a recent study conducted by the Foreign Affairs Committee of the Parliament of the United Kingdom . Lithuania has to categorically insist that the West, in particular the EU, should have a clear strategy for reducing the dependence on Russian energy resources. As long as Russia poses a threat to the European geopolitical security, increasing the dependence on Russian energy resources means an increasing threat to the European security. Lithuania needs to actively work towards the coalition of the EU Member States and the US which would strongly oppose Nord Stream 2 by highlighting the geopolitical nature of the project, since Nord Stream 2 would not only increase Europe's dependence on Russian energy, but also, by eliminating Russia's need for the gas transit through Ukraine, would open the door for Russia's massive military aggression against Ukraine. The most important strategic objective of Lithuania is to aim for a long-term Western strategy towards Russia. The strategy would not only help Lithuania today, tomorrow and over the next decade to defend itself against Putin's aggressiveness, but would also already today provide for the financial and political investment by the West into Russia's positive transformation into a pro-European country in the long term. Such a perspective of Russia is conceivable only after it abandons its penchant for aggression. Incidentally, the West can be effective in helping it happen. – Lithuania must encourage the investment of Western political and financial resources into the 'success belt' along the Russian border, starting with support for the economic success of and European perspective for Ukraine, Moldova and Georgia. The Marshall Plan for Ukraine  is intended to pursue this strategy. Ukraine's success is needed not only for preventing the return of the imperial Russia to the Ukrainian land, but also for the successful pro-European Ukraine to pass its success story on to ordinary citizens of Russia. This is the Western weapon posing the greatest danger to the Kremlin's regime and feared most by Putin. Putin's strategic goal in Ukraine is to prevent the development of a successful state. Therefore, the West should do their utmost to thwart Putin's strategy towards Ukraine. Ukraine's success is what the West can make happen, and it is currently the only instrument for the West to help Russia change into a pro-European country. Therefore, the Marshall Plan for Ukraine (call it as you like) is the most important Western geopolitical instrument, which the West has to put into effect with its all political and financial might and which can help the West deal with the last tectonic challenge in the continental Europe. Five to ten years later, when the Western Balkans become EU members, the prospect of EU membership for Ukraine, Georgia and Moldova will have to become a geopolitical instrument that bears the same effect. – Lithuania must ensure that the West changes the interlocutor and the content in their dialogue with Russia. The dialogue with Putin is counterproductive, as Putin is not going to change and any overzealous Western attempts to seek dialogue with him will be further regarded as manifestation of Western weakness. Any signs of Western weakness provoke Putin into behaving even more aggressively. As regards strategic issues and Russia's future, instead of directly talking with Putin, the West must engage with the Russia of the future, which does not exist yet but may emerge after the end of Putin's era. The West needs the strategy that would outline its potential relations with a post-imperial and non-aggressive Russia (which is going to happen one day! ), the prospect of a pro-European Russia, and even possible models of integration of a pro-European Russia into the Western structures, as proposed by the renowned expert Andreas Umland . This could include a wide spectrum of promising relations, including visa waiver, a customs union, and a free trade and association agreement with the EU. This would be a kind of a Marshall Plan for Russia, which could be even now publicised in the Western strategy on relations with Russia. This would help ordinary Russians and the Russian elite unconnected with Putin's kleptocratic regime to understand what they are losing today because of the aggressive behaviour of the regime and what they would win with a pro-European Russia (after Putin) evolving in the long term. Lithuania is most interested in helping a pro-European Russia to be born because our geopolitical security is conditional on it. This is the interest that neither the French, nor Italians have. Even Germans do not term it as their geopolitical security interest. Therefore, Lithuania's policy towards Russia must not focus on the question of how and why we need to strengthen contacts with the Russian government, because these are absolutely harmful initiatives in case of Putin's Russia. Rather, Lithuania's policy must centre exclusively on the question of how to help the West design and implement an appropriate Western strategy towards Russia with a long-term objective to assist Russia in becoming a pro-European country. The strategy needs to be very clear, i.e. it should outline sanctions and military and anti-hybrid deterrence against Putin's current aggressive and kleptocratic Russia, and in particular, the Kremlin's ruling regime, while offering the Marshall Plan for a pro-European Russia (after Putin). This must be at the centre of our foreign policy. The development of such a Western strategy towards Russia depends on several very important geopolitical conditions in the West. First of all, such a strategy is unthinkable without the US leadership. Recently, increasing divisions between the US and Western Europe on the policy towards Iran, moving of embassies to Jerusalem, Nord Stream 2, and steel production and trade have become dangerous, because in the long term this may lead to irreversible tectonic changes in the relations between the US and Western Europe. Forced more often to assume responsibility for the security of the European continent on its own, the EU may be tempted to overlook Russia's actions to allegedly avoid provoking its even greater aggressiveness. This would incite Russia to ever more unpredictable behaviour, which would be particularly dangerous for both the EU and the US. Lithuania must make every effort to prevent the divide between the US and the EU from getting bigger in various areas. The continuing leadership of the US is of particular importance in ensuring the security of the European continent. Meanwhile, the Europeans, as NATO partners, must, in good faith, fulfil their commitment to spend 2 % of their GDP on defence. On the other hand, it is no less important for the EU to continue its integration, increase its strength, develop its capacity to react more effectively, and play an important and responsible role in ensuring the geopolitical security primarily in the European continent. For that reason, the EU needs a strong partnership with the US as well as joint contribution of all EU Member States to the defence and border security. Similarly, the EU needs an efficient common energy strategy for reducing the dependence of its Member States on supplies from the countries posing a geopolitical threat to the EU. The EU must also frame an effective neighbourhood and enlargement policy geared, in particular, towards the Eastern neighbours, as this is the only way to progressively expand the area of stability, democracy and peace in the European continent. This Eastern neighbourhood policy necessitates immediate instruments, like the post-war Marshall Plan, for promoting economic development and reforms. This should be a common concern for both the EU and the G7. Later on, such a policy should naturally transform into a plan of the EU's enlargement towards the Eastern neighbourhood. Lithuania should take the lead in forming the coalition of supporters of the Western strategy towards Russia. The first natural partners could be our immediate neighbours –– the Scandinavian and Baltic countries. The United Kingdom, which has recently had something to say about Putin's Russia, and the neighbouring Poland could become the major pillars of the coalition in the near future. Ukraine, Georgia and Moldova, which have been mostly affected by Russia's aggressive expansionist behaviour, could also actively join in. However, for Lithuania to achieve the ambition of helping the appropriate Western strategy towards Russia to see the daylight, Lithuania itself, first of all, has to develop this ambition. This requires an overwhelming consensus among parliamentary parties, the Government and the President. Then, an intense implementation plan and concrete actions must follow, so that each delegation of Lithuanian politicians speaks about the strategy at meetings in the West and each arriving Western delegation is offered to join the coalition. We did the same with the Marshall Plan for Ukraine to make it start turning into a reality.